This is going to be an exciting week at the Erasmus house, folks! Our first child is arriving sometime between today and Thursday...so things are bound to change around here! Will keep you updated as things progress. We are very excited and anxious to welcome out daughter Aimee into this world. In the meantime - here's another PhotoShare for you to enjoy. 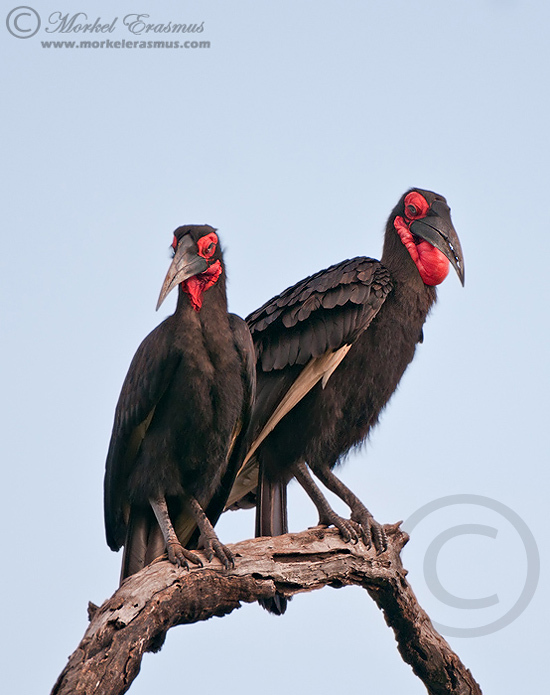 Those who have been to Africa before will know that the Ground Hornbill is quite a quirky character. They normally walk around on the ground (hence the name) and hunt for anything from locusts to small reptiles. On this occasion we had the rare privilege of seeing a whole family of these interesting birds up in a tree early one morning in the northern Kruger National Park. The light was sweet and the birds obliged.